I hear it all the time when speaking with prospective clients… How do I generate leads? There are many different ways that a sales team can generate new leads with or without the help of a marketing department to move these things along. Deciding the best way for your team to generate those leads is up to you, but inbound marketing focusing on your website is one approach that seems to net a lot of results for most of the customers that I work with. 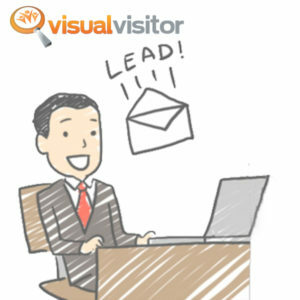 The easiest and most efficient way to generate leads is a solid inbound marketing plan. Inbound Marketing is a relatively simple concept and can be an easy way to acquire new customers and meet your goals. And it doesn’t actually require that you have a marketing team on staff to set it up! If your business is one of those that does not currently have a marketing department or inbound marketing plan, don’t worry. There are still things that you can do to generate leads on your own. Social Platforms such as Instagram, Facebook, or Twitter will allow you to follow or touch base with businesses that are searching for your type of service. Go ahead and reach out to them with comments or conversations or share links to your own site. Blogging about yourself and what you do for your business. This personal outreach can then be posted to your different social media platform and places like LinkedIn. This mostly untapped form of sales outreach can be quite daunting to many of the people to whom I have talked. But fear not, blogging is rarely graded, but is a great way to get your product or service out there! Now that you have achieved your goal of attracting anonymous visitors to your website with your inbound marketing changes, Visual Visitor can step in and identify those visitors for you! You have worked so hard to attract those visitors to your site, without a tool like Visual Visitor in your arsenal, you will miss them! We not only identify those visitors, but we are with you throughout the sales cycle as well. With features like Identify ANYONE (email campaign tracking) to assist in inbound marketing goals, you then have our Forms Capture to tie in to any existing forms you have on your site, an analytics package to help understand where those visitors are coming from, Email Tracking to tell you what happens after you click send on those follow up emails, and so much more! We can even integrate with multiple web applications via Zapier!! !